We at RockRevolt are lovers of all music…well, most music. We are lovers of all GOOD music. That being said, there are artists out there that bridge between genres, and Klayton Celldweller is most definitely one of those artists. His music has transcended time and his skill is boundless. He fuses metal and EDM music in a way that can only be described as scintillating. He can put outwardly dichotomous beats and styles together and marry them in such a way that makes you doubt your pre-existing conceptions of music. What he can do is truly an art form, and this is why we chose to review his Celldweller 10 Year Anniversary Deluxe Edition. His 10 Year Anniversary Deluxe Edition came with two CDs: The first CD being songs reissued from his first album, Celldweller, the second being a compilation of various masterful remixes. This piece has a nice mix of EDM and rock, driving grooves and intricate percussion and guitar, complete with standard rock interludes with intriguing vocal handoffs between clean, whispers, and snarls. It has a dance beat with a metal feel, and it spans across both genres expertly. This song won “Best Industrial Rock Song” at the Just Plain Folks Music Awards in 2004. This song was also featured in many multiple films/promotions/games such as Spider-Man 2, Catwoman, The Punisher, Enter The Matrix, Punk’d, among others. Obviously, it’s one of Celldweller‘s more successful songs, and is one of the favorites of this reviewer. Opening with a very innocent and sweet guitar and keyboard, the song drops into pulsating and driving rhythms. It then bounces into lizard-tongue quick singing, but folds into snarls that give it an unexpected edge that morph into the pleas of the title “Stay With Me”. The song moves back and forth between these sequences and then the bottom drops out momentarily into a heavy accusation, but moves out of it back into the refrain of “Stay With Me, Please Don’t Go.” Once again, another song that leaps across dance and rock adeptly. This song was runner Up for “Best Industrial Song” at the Just Plain Folks Music Awards in 2004. Song 14 on this CD Unlikely (Stay With Me) is a remix version of this song, but is just as fun to listen to as the original. Heavy intro reminiscent to early rave, this is an intense and dynamic song that moves between metal, industrial EDM, and ambient. It’s a fine contrast to the first two songs. About midway through it bends in a minor key Arabic nuance that bounds into punk beats which flow right back into the techno refrain. About a minute after that dynamic contrast of styles, it goes into an apologetic build that unleashes onto the beginning of the coda. Prior to hitting that end, Celldweller incorporates flowing metal screams into electronica ambient rave style beats which maneuver themselves back into the common stanzas of the song; those stanzas that tie the styles together. It’s complex song that satiates the mind’s thirst for something beyond the norm. This song was included in the 2003 video game XGRA: Extreme-G Racing Association and was also featured in the 2007 video game Crackdown. This is song features a short acoustic intro that moves into a framework of underlying soft electronic beats which builds into bombastic timpani and drum laden rhythms, laced with choral backdrops. The song then pushes forward into a strong coda that then winds back down into a soft conclusion, marrying the vocal and lyrics’ emotional driven quality. It’s a beautiful song that has an opulent and regal feel, and is another one of this reviewers favorites. This song has a strong commercial element, and if there is a song that could lend to mass appeal from a Top 40 standpoint, this song would cross-over into the palate of most radio listening consumers. Celldweller does cross the rock and EDM genres in this song, but they are the softer versions of both, making a “poppier” song. Whereas the first 4 songs display a wide array of emotions and style, this song is short on these. This song won “Best Rock Song” at the Just Plain Folks Music Awards in 2004. This song was also used in the 2010 video game Dead Rising 2. The longest song on this CD, it moves and demonstrates various styles. It has groove-laden stanzas, but the refrains are slightly grittier and message laden. The song has a passive-aggressive quality that allows the listener to sense that there is an underlying tension waiting to burst through, which begins to let loose vocally and musically at around the mid-mark. The industrial drum solo carry the tension forward and titillate the senses into the culmination, where instead of hitting hard, it swirls around like a storm that dissipates into nothing. This song was featured in the 2007 video game Crackdown. This song has a nice driving electronic base that hi-lites the electronic quality of the song, allowing the vocals to sit back and give it a true electronic foundation. The vocals and new electronic elements break through halfway in, pushing forward with a variety of rhythms and styles. It’s groovy, it’s punk, it’s heavy, and then the guitars and the vocals lighten for a rehabilitation of the darkness and move it into a lighter apology, which is a quality that Celldweller incorporates into his music. This song has been used in Enter The Matrix, Takedown, Cutaway, Rallisport Challenge 2, Wrecked, Airbrush Alchemy, 21, and Road Rash – Jailbreak. This is another song that has an industrial ballad feel, with a soft piano and electronic voices dancing into the quick, but easy flowing, beat. When approaching the end, the song delves into a heavier and more serious tone with a strong tribal and visceral bass and drum line, which allow the sentiments of the lyrics to flow through. The beginning of this song expresses an innocent nature and almost flippant and non-committal statement that “you can’t hurt me now.” The lyrics and sentimentality progress through the song, and by the end it has an affirmative, mature, and strong tone. This song was featured in the 2007 video game Crackdown. The song opens with a clean call that earns a heavy response, and it hands the clean and harsh verses, and styles, back and forth into a trance/ambient EDM groove with minor key vocals dancing through it. It then drives into a deliberate reprieve of clashing drums and hard verses that slide into a warning. It then unhinges into a balladic dreamy guitar sprinkled with electronic elements. Klayton emotes through his vocals, ending the song in one strummed chord. This song is another masterful piece of varying EDM/metal fusion. This song was featured in the 2007 video game Crackdown. This song moves back and forth between guitar and electronic beat backdrops, a firm groove, and lyrics that question and lament with a pairing of Klayton’s tenor and a falsetto. It then falls into a wave of electronic and percussive rhythms and orchestral cloaking. The momentum slows, but the futuristic beats and lonely piano dance together for a few moments, allowing Klayton’s vocals to resurface to bring the song into the climactic swirl of every element established in the song by releasing into orchestral strings and industrial cadences. This song was also featured in the 2007 video game Crackdown. Jumping straight into a mix of electronic tweaks, the song opens into an almost spoken-word style that drops into screamed lyrics. 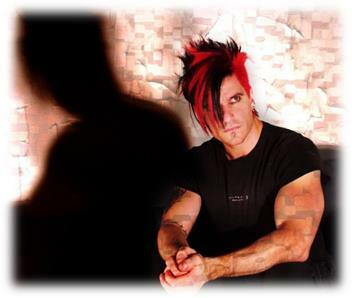 Klayton maneuvers between industrial rock, EDM mixes, and spoken and sung melodies. This song was used in the 2010 video game Dead Rising 2 and included in the 2003 video game XGRA: Extreme-G Racing Association. This song has a Trance entrance with metal beats peeking through. The song then morphs into a metal song with heavy vocals and driving riffs that then fall victim to the industrial EDM feel. The song is hands down more metal than any of the other songs on this album, yet the dichotomy between both genres is still intriguing to listen to, and in this one there is a shift towards the metal end of the spectrum. This song was also included in the 2003 video game XGRA: Extreme-G Racing Association. The instrumental of “One Good Reason” is included on Need for Speed: Most Wanted’s soundtrack. With a futuristic feel and a female whispered vocal, this song softly opens into a quick drum and bass tempo. Where the One Good Reason song was metal in personality, this song is EDM in personality. There is a stark difference between both. This song was included in the 2003 video game XGRA: Extreme-G Racing Association. This song uses elemental sampling of natural animal cries. Klayton singing in a soft whisper that allows the song to progress into a tension filled movement that never eases. It’s an ambient track that is starkly different from the previous two songs. 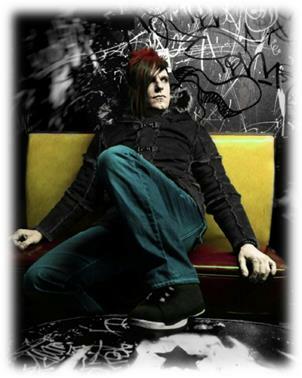 With the final three songs of this CD, Klayton shows-off the chameleon nature of his artistry. The second CD is a whirlwind of amazing mixes, adding complex rhythms and moving songs between various subgenres of EDM, and occasionally, adding some more metal/industrial flair. These are spectacular gifts of Celldweller and I will only review some of my personal favorites from this grouping, and allow you, the true reviewer and lover of music, to determine what you think to be truly amazing. Ghosts opens with electronica beats with an orchestral element. The violins dance through, but then screamed lyrics break the beauty and turn the danceable nature of the song into a metal song. The vocals allows for the songs dichotomous contrast between EDM and metal; however, these two are fused and tied together via orchestral orotundity. This is a drum and bass track that showcases the frantic nature of the EDM subgenre and Klayton’s scope of work. Even though the song is frantic by nature, he pushes the lyrics to be soft at the climactic key change that lays foundation for the final cadences of the song, allowing it to spiral into the conclusion. Amazingly, this is a cover of the Bee Gees, painted through the Celldweller artistry. It has more metal overtones than EDM, but the EDM framework is present nonetheless. The aggressive vocals yield into the electronic elements, giving it an almost futuristic flavor. This song is presented in two versions: one featuring Styles of Beyond, and the other remixed by Klayton. Both are starkly different, and could hardly be called the same song, but both offer enough heavy vocals and enough EDM and metal to appeal to lovers of both. The first version was remixed by Klayton, and definitely pushes the song further into the EDM genre than metal, giving the electronically generated sounds a larger presence, allowing the vocals to glide across them. The second version, the Dead by Dawn mixed by No I’m Not – introduces this song into a more ambient and cinematic realm. The song becomes a polar opposite of the original, with the vocals sitting on top of orchestral and choir arrangements. This is truly a spectacular album. Go out and get it and see for yourself. It’s definitely a pleasure to listen to. It will rock your world. ART OF SHOCK Heads Out with the VANS WARPED TOUR Tomorrow as the Official BBQ BAND!